One of the things we love about our work is that it takes us to markets all over the continent, and we invariably see something new, different and cool wherever we go. This is particularly true of great cities like Chicago, which we visited last month. Here are a few particularly notable observations from the Windy City. Visitors to Chicago tend to focus on Michigan Avenue and Millennium Park, but the real action is in the city’s many vibrant neighborhoods. 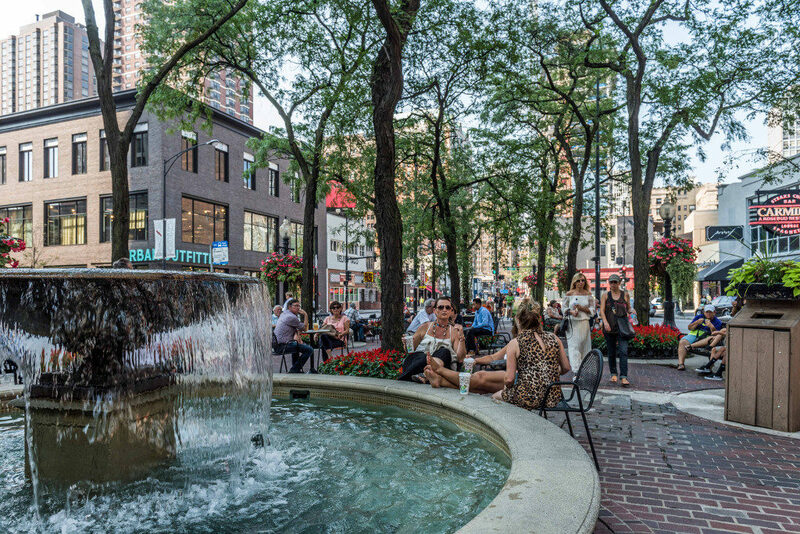 River North, Gold Coast, Old Town, Lincoln Park, Wicker Park and West Loop abound with great stores, restaurants, cafes, bars and apartment communities. Some neighborhoods, like West Loop, have emerged recently, while others, like Wicker Park and Gold Coast, are long established but continue to grow and evolve. And even neighborhoods in close proximity to each other provide distinctive experiences – appealing to people of different mindsets or at different stages of their lives. One point made above that’s worth expounding upon is the number, quality and range of great places to eat in each of these neighborhoods. 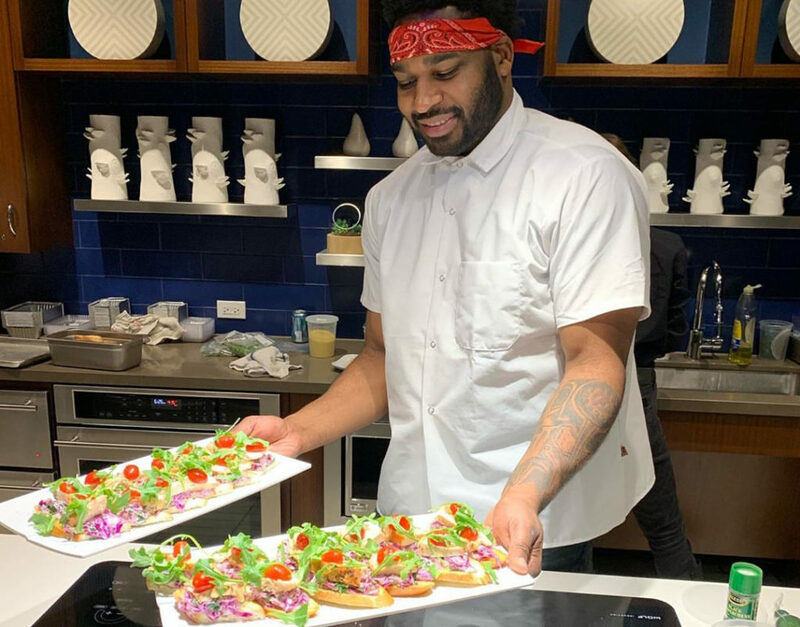 Chicago is a foodie’s delight, from cheap eats to haute cuisine and neighborhood classics to new favorites, featuring any kind of food you could possibly desire. At many of the multifamily buildings we visited in Chicago, the level of service is what really stood out. 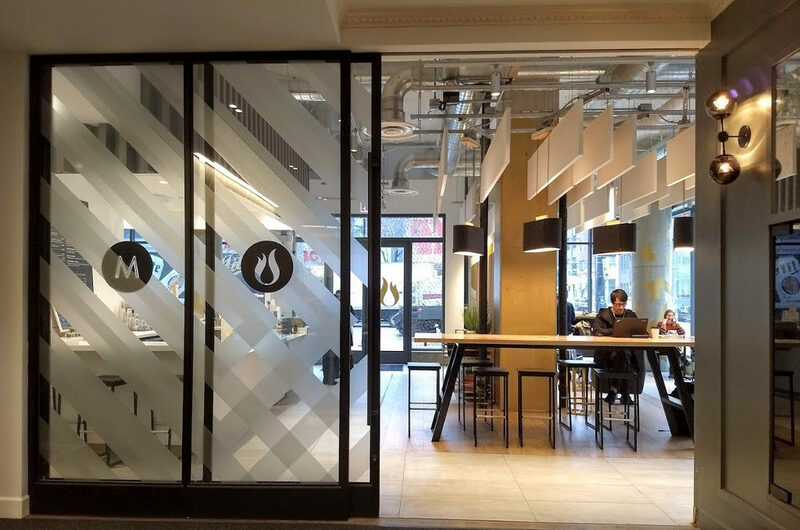 Some of this was simply a matter of hiring the most gregarious human we’ve ever met to be a concierge (and his twin brother; we’re not making this up). There’s nothing quite like coming home at the end of the work day to a big man greeting you by name, giving you a high five and reminding you that you’re fantastic! Dog walking, daycare and salon service. This aligns with something we’ve been thinking for a while. 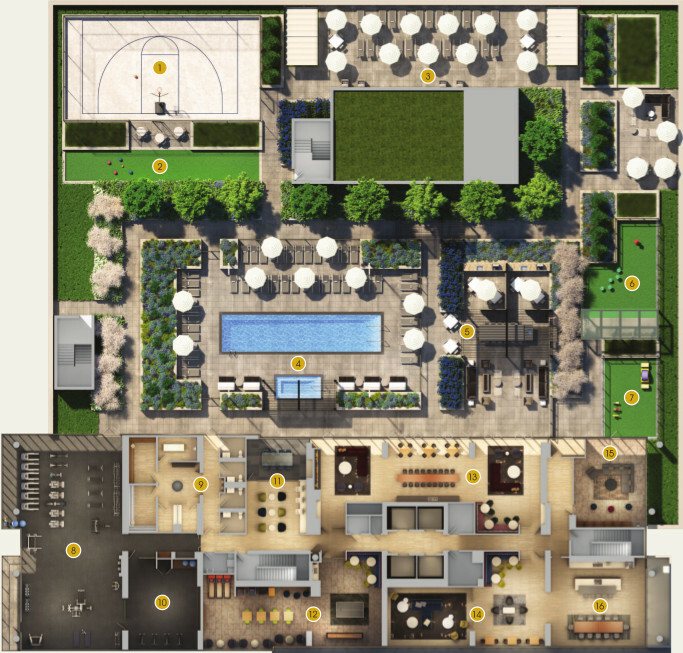 While many properties continue to escalate the arms race of more and larger amenity spaces, we continue to believe that properties that expand their service and experiential offering will further differentiate themselves from projects that are only focused on adding more amenities. Despite what we said above, amenity spaces, of course, remain hugely important. And we saw some great examples of spaces and details in Chicago. First, the Sky Lounge at State & Chestnut, like many amenity spaces, includes large screens. But we love that this Sky Lounge screen can be hidden away behind artistic sliding panels. 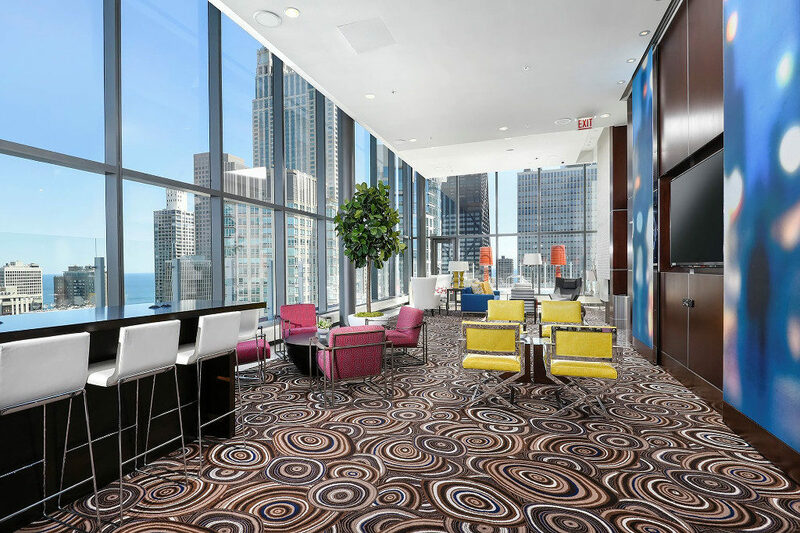 Next, the charming lobby at Marlowe connects directly to a Limitless Coffee & Tea shop. Marlowe residents regularly pass through the coffee shop to grab a beverage and/or snack on their way out of the building, and many hang out and work there throughout the day. Limitless even has a publicly accessible meeting area with a white board. Finally, Old Town Park developer Onni believes in providing something for everyone, and it shows in the building’s extraordinarily comprehensive indoor-outdoor amenity level, which includes an outdoor pool and hot tub, basketball and bocce courts, a sun deck, private outdoor cooking and dining areas, a dog run, an indoor-outdoor children’s play area, three indoor lounges (one with table and arcade games), a work space, a demonstration kitchen and dining room, a spa and a fitness center. That’s a lot! The 2018 Fortune 500 list includes 33 companies headquartered in Chicagoland, 22 of them in the suburbs. But that’s changing. Employers in Chicago, as with those in many places, are finding that young talent want to be in the city, and they’re responding to that desire. 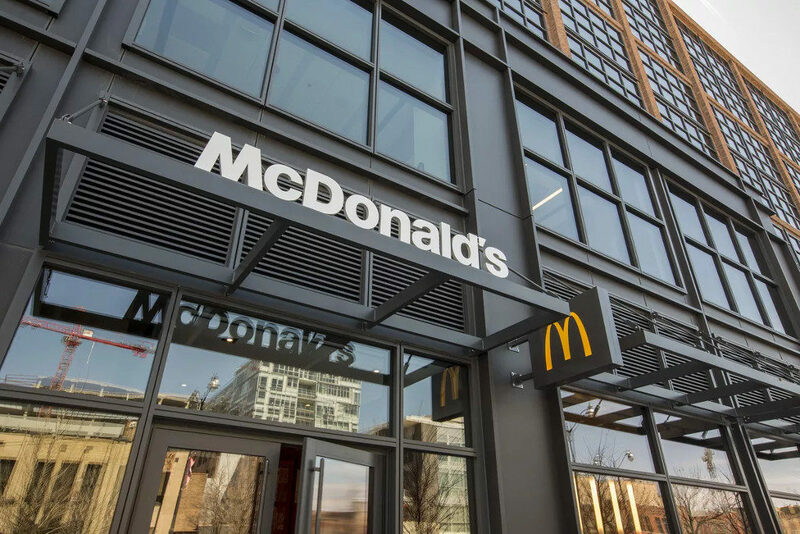 Recent examples from the Fortune 500 and beyond include McDonald’s, Motorola Mobility, Beam Suntory, Gogo, Mead Johnson Nutrition, Ferrara Candy Co., Mondelēz International and Walgreen’s (which is opening 200,000 square feet of offices in West Loop, but not moving its headquarters). Some of these moves are helping reinvigorate classic buildings. 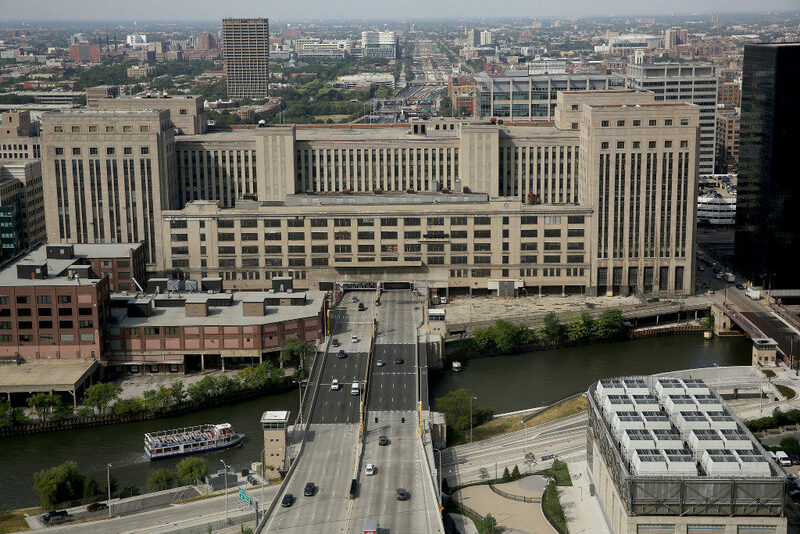 This includes the Merchandise Mart (Motorola Mobility, Beam Suntory) and Old Main Post Office (Walgreen’s and Ferrara Candy Co.). Merchandise Mart is also home to Conagra, which moved its headquarters from Omaha, Nebraska, in 2016, and offices of Yelp, PayPal, Allstate, Kellogg, Grainger and Caterpillar, among others. Speaking of bringing new life to old buildings, Google opened its Midwest Headquarters in the former Fulton Market Cold Storage building, in West Loop, in 2015.